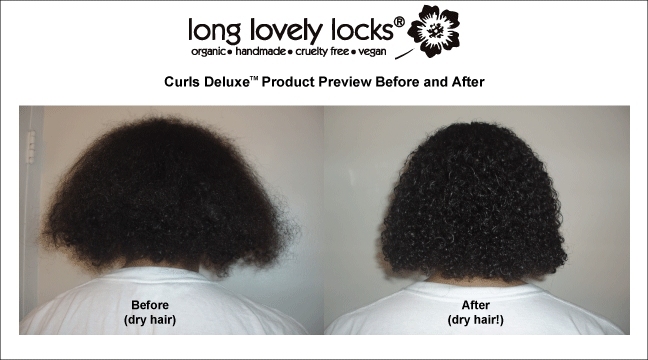 Curls deluxe brings your hair texture to the forefront. It is an moisturizing stying gel for thick, coily, curly and wavy hair types. Includes hair enriching and curl enhancing botanicals. It will memorize and hold your style without making hair feel stiff nor sticky. Will combat frizz, decrease bulk, reduce shrinkage. Smooths hair and adds shine. Tip: always use small amount.Less is more! start with freshly cleansed and conditioned hair squeezing excess water out from hair strands. (Let water drip down to the towel. Rubbing hair with towel creates frizz.) Apply evenly to towel-dripped hair. Gently apply throughout each layer of your hair; covering every strand. Gently comb each layer with a wide tooth comb or finger comb. Do not separate curls during application. Scrunch hair if you wish.